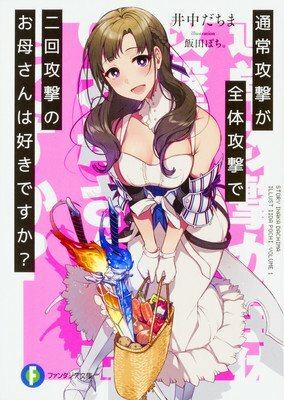 Officially announced today at the Fantasia Bunko Dai Kanshasai 2018 event, an anime adaptation is in the works for the Do You Love Your Mom and Her Two-Hit Multi-Target Attacks? light-novel series. This adaptation will be directed by Yoshiaki Iwasaki (Love Hina), with Deko Akao (Frame Arms Girl) as the series’ composer and Yohei Yaegashi (Aki no Kanade) as the character designer. Two of the voice actors have also been announced. The main character, Masato Ōsuki, will be voiced by Haruki Ishiya. 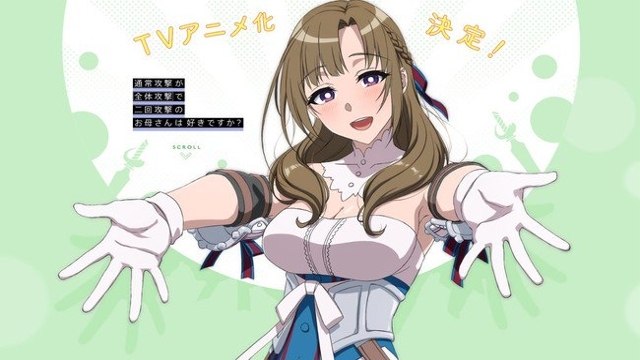 His mother, Mamako Ōsuki, will be voiced by Ai Kayano. Masato thought he was part of a random survey, but when he gets involved in a secret government scheme, he winds up trapped in the game world. Even more surprising—his mother’s there, too! Yen Press will be re-releasing the first novel on November 13th, 2018. There is no word yet on a release date for the anime series, but stay tuned as more information is made available. Also, be sure to check out the event’s livestream or the series’ website any additional details.